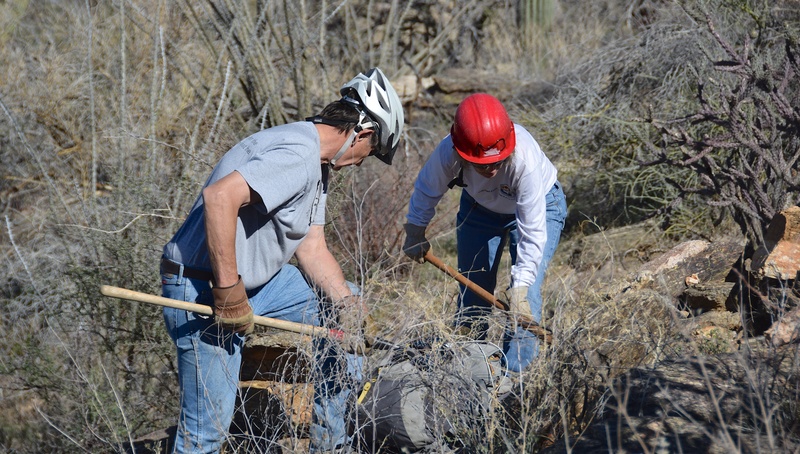 This weekend, Kevin “Pops C” Coyle invited me out to Quilter trail to see how volunteers maintain the trails. It was a great day to be out too, with a nice breeze and moderate temperatures. And the volunteers did a great job. You too can volunteer. 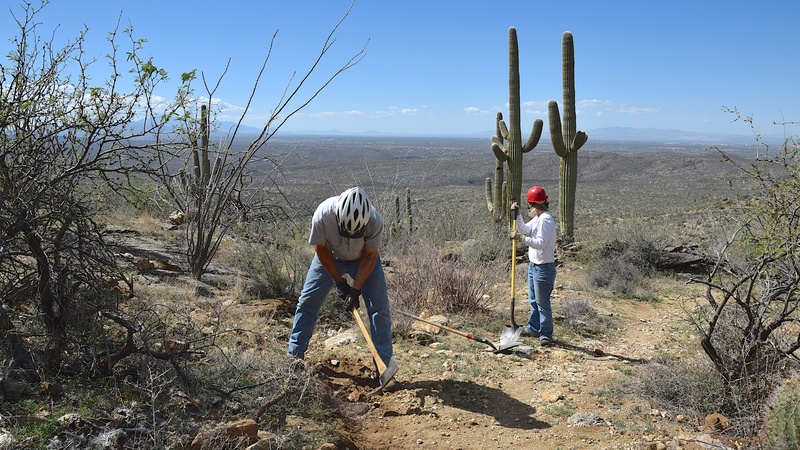 Just check out the Saguaro National Park website here, and then fill out the volunteer form here. The following is a very large panoramic photo. Click on it and then zoom in to see all those saguaros. Wow!